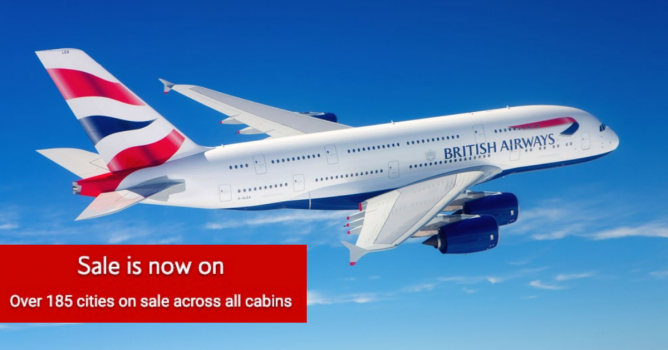 Home > Travel > Flight > British Airways: Over 185 Cities on Sale with All-In Return Fares from SGD585! Book by 31 Jan 2019 British Airways: Over 185 Cities on Sale with All-In Return Fares from SGD585! [Booking.com] Prices in Puri are dropping for your dates! Explore the world with British Airways. Enjoy savings on airfares and holiday packages to Sydney, the UK, Europe, North and South America. With a range of stunning destinations on offer across economy (World Traveller), premium economy (World Traveller Plus) and business (Club World) cabins, now is the time to book. Plus, get great deals on car hire and carefullly selected hotels when you book with your flights or as part of a multi-city trip. Sale ends 31 January 2019. Departures from 29 January 2019 to 30 November 2019. Terms and Conditions apply. 1. The advertised airfares are quoted in Singapore dollars and include all government taxes, fees and surcharges. 2. 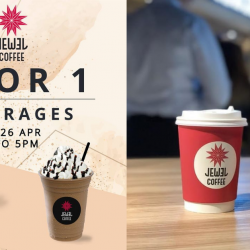 Offer starts from 15 January 2019 until 23:59 31 January 2019 unless sold out prior. 3. Fares are correct as of 14 January 2019 but may fluctuate due to changes in exchange rates, surcharges and taxes. 4. Advertised fares are valid for departures from 29 January 2019 to 30 November 2019. 5. Advance purchase restriction, minimum stay restrictions and seasonality surcharges apply. 6. High season surcharge will apply for travel in non-premium from Singapore to the UK, Europe and North America between 26 May 2019 and 22 June 2019. 7. This offer is for travel on selected British Airways flights from Singapore. 8. Offer is subject to availability and seats are limited. 9. British Airways reserves the right to change or amend the offer without prior notice. 10.Other Terms and Conditions apply. Next: GrabFood: Get a 2pcs Popeyes Chicken Combo at only $1 This Week! Book by 23 Apr 2019, 2359hrs Scoot: Extended GTG Sale with 50% OFF 57 Destinations! Spending long nights at work, when you could be staying out? You've Got To Go! ✈️ Take back the night and explore new cities under the stars with Scoot's extended GTG sale this week! 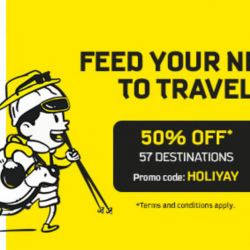 Grab fares to 57 destinations at 50% off with promo code! Catch the GTG Sale at 7am tomorrow! 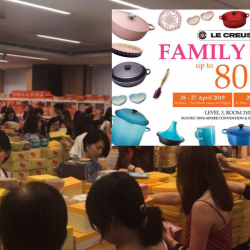 [Fairprice] More gifts this week! [Gilt] Saturday who? It’s Sunday Night Steals. [AIRFRANCE]  Let’s make everyday Earth Day!